Its fits perfect on my wicker chair. It's made of heavy vinyl. 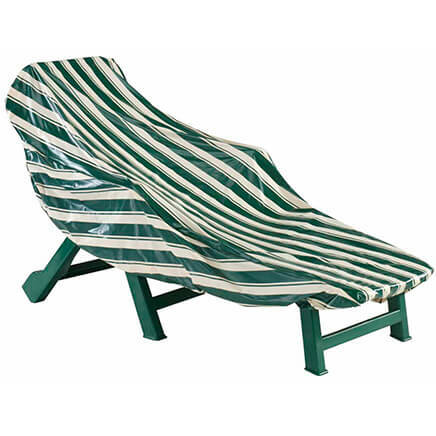 Used on my deck chairs. Fits well over 4 chairs. 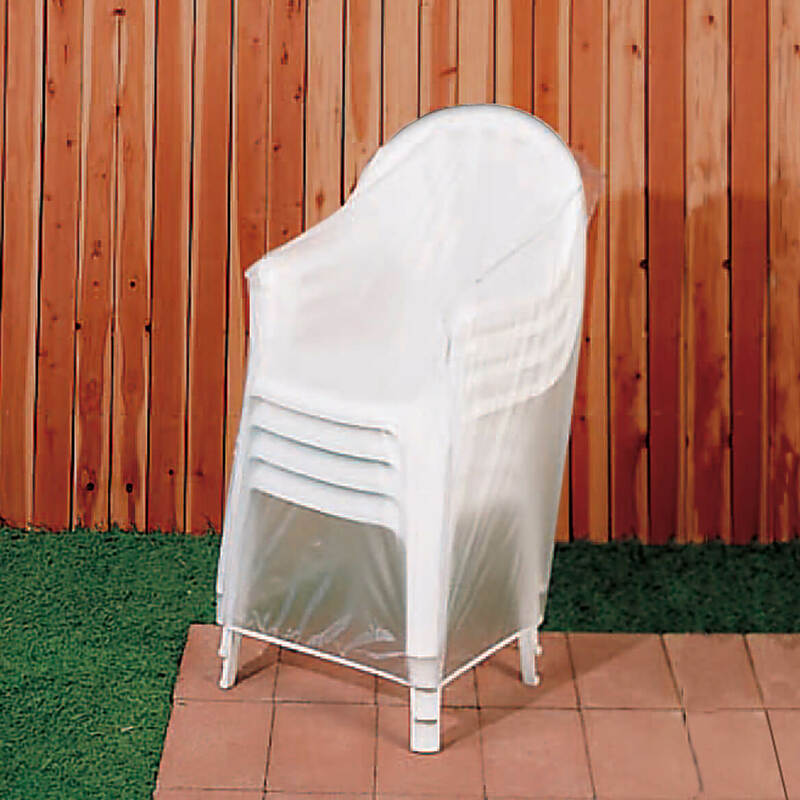 This plastic cover is perfect for chairs that stay outside or inside the garage. Protects from the weather or dust and dirt. Fits nicely. I have ordered several of these chair covers and like them real well. fit great used for regurlar chairs and a small side table. This was a perfect transaction. I will definitely be shopping Miles Kimball again and again! Thank you SO much Miles Kimball! We bring in our chairs from the back patio when we need extra seating for a large group meeting in our livingroom and this cover is an excellent solution to our former problem of having to wash off the chairs before we brig them inside. We are pleased. 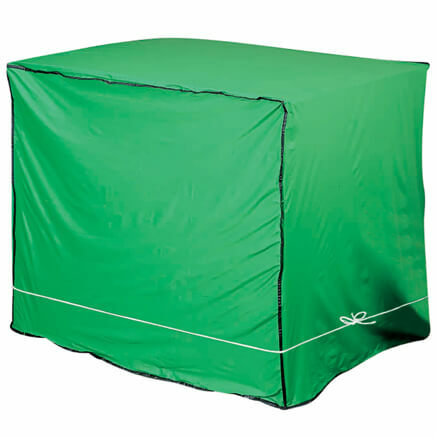 This covers them well and it's easy to put on and remove and the price was reasonable. 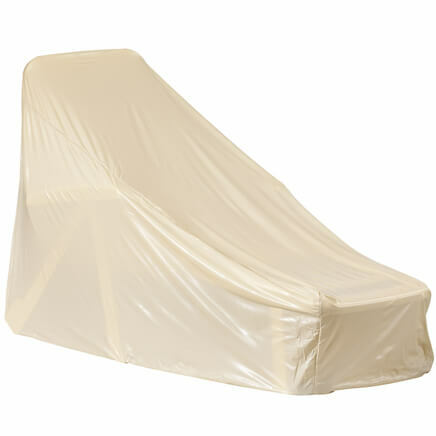 I ordered the Vinyl Outdoor Chair Covers to replace the one that I've had for almost 14 years. It is all that I expected it to be!! I keep my stackable chairs outside on my patio 24/7.but keep them covered with a vinyl cover. I hope the 2 I ordered last as long as my previous one. They are made differently so, time will tell. BUT, I'm optimist!! These chair covers are perfect for the chairs on my deck, whether it's an individual chair or the entire stack, it fits perfectly and protects the chairs from the weather and dirt. Excellent. Now I need one that fits on the little tables that go with the chairs. My chairs now stay clean and dry. I liked the first cover so much I ordered a second cover to keep stacked chairs on porch dry and free of dust and pollen. Thank you. I use this product to store my outdoor chairs in my basement for the winter. They fit great and are of good quality. I am quite pleased with this chair cover. It fits perfectly and is made really well with heavy vinyl. This is just what I've been looking for to cover my outdoor chairs for winter. I was also able to get my small table covered, as well as the four chairs. Withstands two years of Florida weather successfully. I cover my stacked resin chairs that are on my porch. Fits perfect and covers 4 chaits. I covered my porch chairs to keep them clean.The plastic seems sturdy and durable. We use this to cover chairs on an open porch for winter storage. It is a perfect cover. We buy this product every year because it is amazing. We use this product to protect our outdoor chairs through the winter and in between uses during the summer to keep them clean. The cover is easy to take on and off and does not tear apart. We have had this cover in use for two years at a time and we've had very tough winters. It lasts a long time and looks good. I have purchased this Chair Cover because I like it. II have used this particular chair cover many times over the past few years. It is light weight and the perfect size for 4 to 6 chairs, but works for a little as 2 chairs. 2nd time I ordered and used these chair covers for my patio stackables. Easily covers 3 of the plastic patio chairs for the winter storage. Takes rain thru 2-3 seasons--probably longer if you don't mind the dirt from sitting outside. Still no rips. p.s.---applause to customer service who worked so well with me when I had a shipping snafoo on the order. My error, but you wouldn't know it from the way they handled the issue. Fits a folded gravity chair too! We haven't had a chance to see how the cover holds up, but it seems to be well-made. It's rectangular with an elasticated rim. Just pull on. Apart from the resin chairs illustrated, it fits a folded gravity chair. I stacked 4 chairs and 1 cover fit all! I got this cover just in time . I put it on my stack of four plastic patio chairs for the winter. The only thing I don't like is how it sinks down in the seat area. The rain and leaves are collecting in that area. I'm sure the snow will do the same. I need to find something that I can put on the seat area that will raise it up. The chair cover does a great job keeping our chairs clean over the winter and even when stored during the summer if not used. It's easy to put on and take off and has a good "life" of wear. We also like that it is somewhat see through, which makes it easy to know which chairs we are uncovering for use. 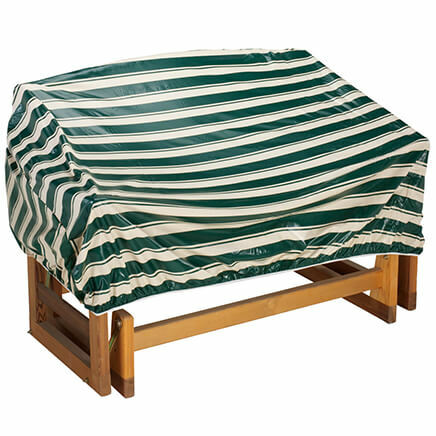 suggested we purchase this product.Our patio chairs are now neatly stacked,and covered. Chairs clean after the winter! This item kept the chairs clean and required only a minimal amount of cleaning after the winter. I bought these for my patio chairs that are stacked in a corner for when we have company. This cover keeps the dust off them so that all I have to do is uncover them and people can sit on them right away. I'm using it to cover my stacking chairs when I don't need them. on the chairs after I clean them and put them away for winter. They work just wonderful for me. I use this cover for 6 chairs. It keeps the chairs nice and clean. Now I just take off the cover and sit them around the table. Cover fits snugly so does now blow off. A must for anyone who had thses chairs. Haven't had item long enough to see if it holds up under adverse weather conditions, but seams sturdy enough and goes on easily. Not suitable when temperature get very cold...........tends to get brittle and split...best to bring cover indoors at that time. It will be used for personal use. My catalog had it on sale for $7.49 but sales person said it was $9.99. Not finding fault with her, she is doing her job. But your catalog is summer one; when do I get notified its no longer available for that price. I am very disappointed in this service. Have been doing business for long time. We purchased this chair cover in November & by February it was ripped. Unfortunately couldn't stand the test of a Chicago winter. The size is perfect for a stack of chairs. The plain vinyl is durable. Nothing fancy. Plastic chairs outside need to be covered in the rain. Tired cleaning chairs before using. I hope they work/fit. Bought some several years ago. They are lightweight, form-fitting, lasting & durable. Also like that they're transparent. Bought last year. Kept chairs great but covers got dirty so buying new. looked like a good value. I bought this once before and it worked well for us. I bought this cover because I'm tired of cleaning my chairs every time I want to use them. Plus it covers 4 at a time. 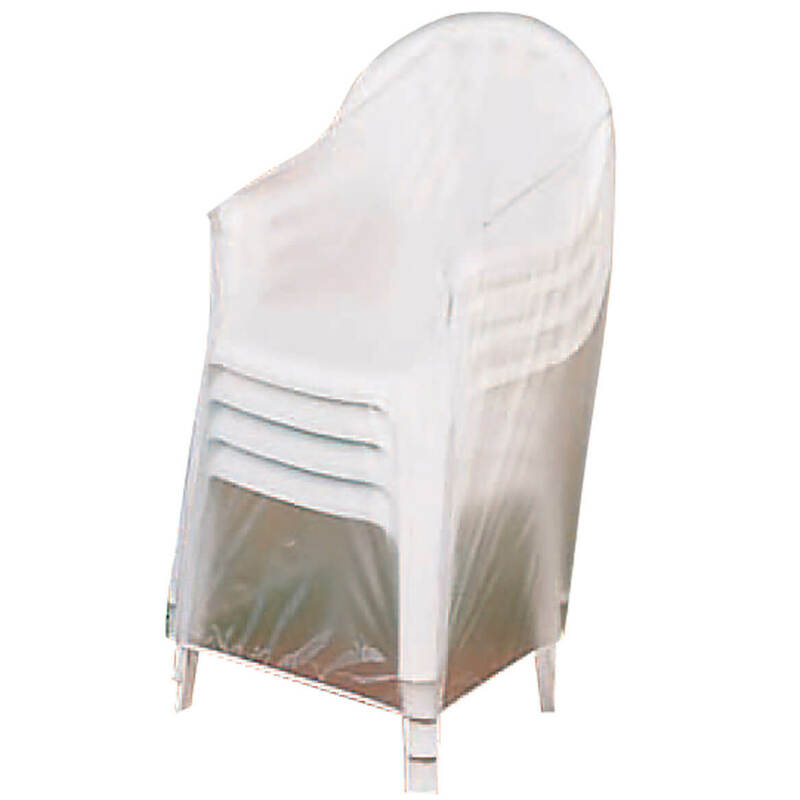 Good price for storage cover for chairs to help keep them clean. To keep Lawn chairs clean for quick use. to help protect the chairs from NJ weather!!! Our stacking chairs are showing wear from the winter. We plan to buy more and want to protect the new ones in the future. This will keep my chairs dust free in between uses. I like to keep my patio chairs clean so I can just pull the cover off and sit without having to spend time cleaning the chair. And I like them to be clear so my colorful furniture shows through. I have purchased this product before. It weathered well and protected my chairs. Time to purchase another cover and cover some other chairs as well. Want them to stay new-looking. I needed something to protect my outdoor chairs during the snowy months in Ohio. Have bought them before and they hold very well (2-3 seasons) compared to other covers that lasted a few weeks! Needed to cover patio chairs. Would like to move my chairs from inside my garage to inside my shed and keep them from gathering dust. They last a long time, clear color goes with everything. This is the third time I have ordered them. Large enough for four stack chairs or 1 large wicker chair. Simple, it fits more than one chair! To cover chairs on my deck @ camp. This is the only cover I found that is the size I need. I like these covers and you had them on sale. 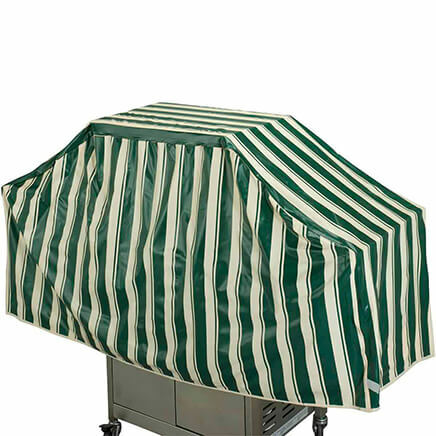 Very good quality outdoor furniture covers at a reasonable price. IT'S WHAT I WAS LOOKING FOR, A GREAT PRICE...AND FREE SHIPPING! My outdoor chairs always need to be wiped down before use and this will make it so that I don't have to. Used them before quality is very good lasts long time. I want to buy 4 to cover my fabric patio chairs from rain and sun. so will this work. don't want to stack them o will buy 4 covers? BEST ANSWER: Thank you for your question. This chair cover is only intended to cover a stack of chairs and will be too large for single chairs. We hope this information will be of help to you.